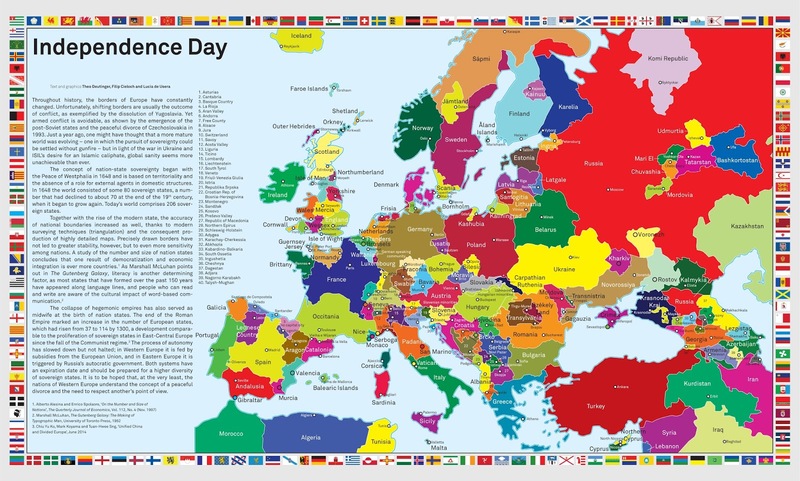 What if every separatist movement in Europe that wished for independence was granted it, this map that was created by the European Free Alliance, shows not only Scotland separated from England but Wales and Cornwall too. Bavaria, with a population of 12,5 million, has split from Germany and a Republic of Venice has been established in Italy. The Basque nationalist Movement has broken away from northern Spain and southwestern France and the the little-known Savoyan League has also separated from France with a population of 405,000. 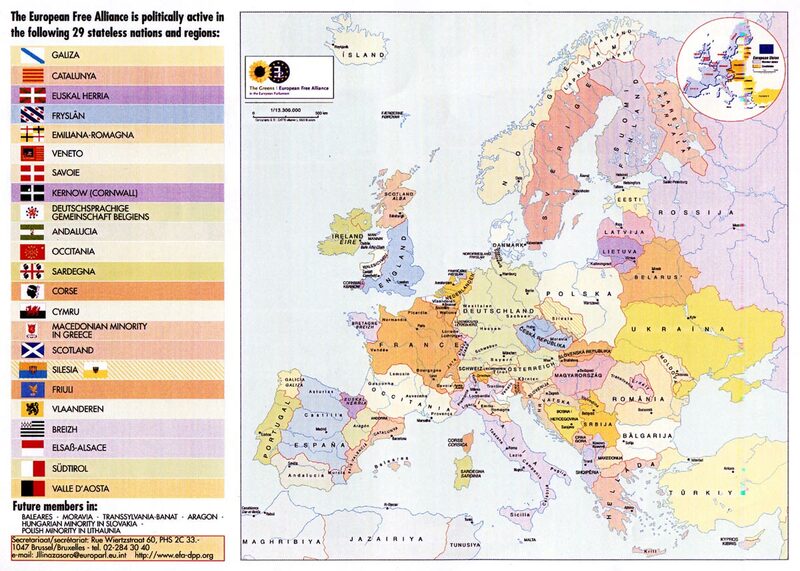 Map of active separatist movements in Europe. Red names indicate regions with movements that only claim greater autonomy within the actual state. Black names indicate regions with important secessionist movements, although both categories include moderate movements. The nations highlighted in colors are the territories claimed by the local nationalist groups, including areas out of the state’s borders and cases of annexation to other states.